Once thought, when you open Facebook, you know when you die, it is written. Yes, Facebook can also tell the date of your death. Your very important information is now in their hands. These facts can be used to predict the future of Facebook. They are creating an algorithm, which allows you to tell from the predictions of marriage to death predictions. 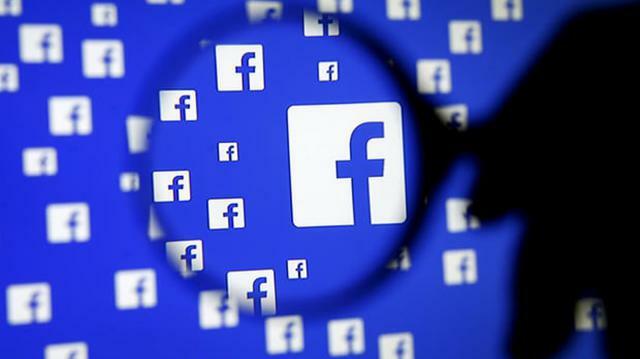 Facebook has also applied for a patent application to create death prediction algorithms. The Predicting Life Changes, the first news of the patent, told the New York Times. It is said that the technology that will be called Life Change Prediction Engine, will predict the important events of Facebook user's life. It has the power of marriage, birthdays, new jobs, birth, education, and even death forecasts. Analysts say the reason for creating such algorithms is advertising. As a result of a person's deep knowledge of life, he can show ads related to his Facebook. As the algorithm of Facebook recognizes that someone has been pregnant, children will start showing children's clothing, food advertisements in front of them. According to Facebook's patent application, Facebook will set its own forecast by analyzing the data provided by Facebook users on their profile. Of course, Facebook said earlier that their patent application does not mean that they will create it and use them in the future. Recently Facebook has come under criticism for the Cambridge Analyte scandal. A UK election consultant named Cambridge Analykas was accused of handing over information on Facebook to the election campaign. Many sources have left Facebook since its formula. Among them, Apple's co-founder Steve Wozniak is in there. He said Facebook has earned a lot of money from Facebook users. But in return, users do not get anything. Earlier Google recently announced the use of artificial intelligence to predict death. After this, Facebook said about the patent technology of this kind. Analysts say Google's Artificial Intelligence has reached such a stage that it is almost entirely possible to predict various issues related to human life. Researchers claim that the correct answer was found in 95 percent of cases. How long will a person stay in hospital? In answer to this question, 87 percent of the perfect Google technology is perfect. Not only that, 77% of the accuracy of this model is also in the case of a person getting hospitalization again. However, this model will work only when the patient has complete information about the patient's physical condition. In fact, the model will collect detailed information about a person from the hospital's Electronic Health Records. This technology is created in such a way that Google will predict the patient only if the patient's physical condition is complete with the information from the EHR system. UC San Francisco, Stanford Medicine and the University of Chicago's doctors and researchers have developed this special technology. With the help of this special technology, Google will tell you the day of your death. Details of this technology have been published in 'Nature' magazine.